Glen, in northwest Baltimore City, is one of the largest neighborhoods making up northern Park Heights. Its tree-lined streets consist of predominantly single-family brick and frame cottage homes built around the turn of the 20th century but also include mansion homes, garden apartments, condominiums and semi-detached homes. Most of the Glen community was developed between 1915 and 1930. By 1929, the major portion of Glen had been subdivided and to varying degree developed, almost entirely as single family detached frame homes. Families find Glen a wonderful place to raise children. Cross Country Elementary/Middle School serves children in grades Pre-K through eighth and is implementing a new technology program to supplement the school’s math, science and technology curriculum, making it an even better place to learn and grow. Glen is a quiet community with well-maintained homes and streets. The leafy setting and abundance of outdoor activities keep active families happy. In the spring there are beautiful azaleas that dot the landscape. Many sturdy trees provide shade during the lazy days of summer. The neighborhood is home to the Jewish Community Center and Baltimore Hebrew University. Glen has 12 synagogues and 3 churches. Residents care about their neighborhood and actively participate in monthly Glen Neighborhood Association meetings. Glen residents trade lobs at Luckman Park, which features tennis courts, playgrounds and walking paths. Nearby Pimlico Racecourse is home to Maryland’s Preakness race and located right in the backyard of the Glen neighborhood. A short drive from the neighborhood is the Cylburn Park Arboretum with its collections of Japanese maples, hollies, conifers, Maryland oaks, beeches, tree peonies, maples and magnolias, which stand on spacious lawns. The Cylburn Association hosts horticultural lectures and demonstrations as well as guided tours of the Victorian Mansion and the gardens led by trained garden guides. The association sponsors such Baltimore events as Market Day, Chamber Music Series and the December Holiday Tea in the decorated mansion. Glen is close to Baltimore’s Mount Washington neighborhood, which features the Baltimore Driving Range as well as a collection of trendy boutiques, restaurants and a Whole Foods grocer. There’s also plenty of shopping in the newly renovated Reisterstown Plaza, which features a Home Depot, Giant Food, Marshall’s and National Wholesale Liquidators. 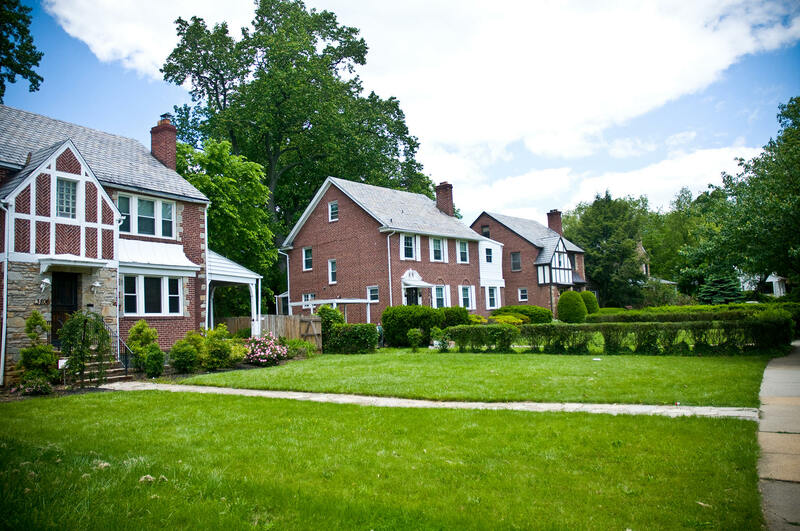 The Glen neighborhood is anchored by CHAI: Comprehensive Housing Assistance, Inc., in partnership with the Glen Neighborhood Improvement Association, which both support thriving, stable blocks in Glen and offer events that promote resident unity.